Today’s vote in parliament on a law for Iraq’s anti-corruption commission was in some ways another defeat for Iraq’s prime minister Nuri al-Maliki. On a key article of the law, namely the mechanism for appointing the leader of the integrity commission, Maliki and his political allies had sought a different formula than that eventully agreed to by parliament: Whereas Maliki had asked for prime ministerial appointment powers, parliament reserved that prerogative for itself in article 4 of the new law. As usual in Iraq, no details on the votes of individual deputies were published but it has been made clear in press reports that the supporters of the anti-Maliki measure were generally Iraqiyya, the Kurds and possibly some individual members of ISCI. Still, despite these developments in parliament today, two important caveats pertain to the image of Maliki coming under pressure. Firstly, today’s decision was in the realm of simple-majority decisions rather than anywhere near the absolute-majority territory in which the most crucial decisions – such as sacking the government itself – are made. With 248 deputies present, no more than 125 votes were required to win the vote, meaning we are still far away from the magical 163 needed to withdraw confidence in Maliki. Second, today’s vote against Maliki was enabled precisely because it focused on a single anti-Maliki clause that attacked him personally. Conversely, when the issues are broader, this sort of cross-party political consensus that could form the basis for a challenge to the government simply does not exist. This can be seen for example in the debate on the oil and gas law. Seemingly there is a parallel challenge to prime ministerial power in the parliamentary oil and gas committee version of the oil and gas bill, which differs from the government version above all when it comes to the role of the PM in the projected, all-powerful federal oil and gas council. But in other areas of the oil and gas legislation – and especially in areas concerning centre-periphery relations – fissures in the anti-Maliki coalition are evident. Firstly, it seems unclear whether the Kurds are wholeheartedly supporting the committee version of the bill at all, since their latest tirade against the “Maliki draft” included criticism of items concerning central government powers that can in fact be found in the committee version of the bill as well. In other words, maybe the Kurds are not terribly serious about the committee bill at the end of the day and instead are just trying to heap pressure on Maliki in order to get a better deal from him bilaterally in KRG-Baghdad negotiations. Second, even parties often seen as pro-Kurdish are at variance with Arbil when the specifics of oil and gas and other “big issues” (like disputed territories) come up for debate. Nowhere is this more evident than in the case of the Islamic Supreme Council of Iraq (ISCI), which despite its reputation as a pro-Kurdish party has recently found it necessary to issue criticism of alleged oil smuggling from the Kurdish areas as well as what is seen as Kurdish attempts at grandstanding through reducing the oil output from the KRG area. Issues like these have over the past few weeks been highlighted by pro-ISCI deputies such as Qasim al-Aaraji and Falih al-Sari. Indeed, when it comes to the disputed territories, even Iraqiyya – which has recently gone quite far in accommodating Kurdish sentiment with respect to oil, at least at the level of the party leadership – have strongly protested developments in Diyala province, where the recent visit by the Kurdish president Masud Barzani prompted strong protests locally. The lack of cohesion among Maliki’s opponents in turn explains how he is able to remain in power despite a decidedly flimsy parliamentary support base. The Kurds took at face value his promises on oil and gas and other issues in late 2010, overlooking the fact that these issues belong to the realm of parliamentary decisions and even referendums rather than to that of the premier. Maliki clearly is not strong enough to produce parliamentary decisions on these matters; however, he is quite capable of hanging on to power thanks to the inability of the opposition to unite to sack him. In the end this may suit Maliki well, since it means he can escape or postpone painful decisions on issues like oil and Kirkuk that would potentially bring him into conflict with the limited power base that he still retains in parliament. Over the past few days there have been persistent reports that some leading members of Iraqiyya who have lost faith in the national council for high policies are contemplating reviving the debate about a senate in the Iraqi parliament as a potential substitute. To some extent, there are positive aspects to this suggestion. Firstly, unlike the strategic council, the senate is already in the Iraqi constitution, even though its composition and prerogatives are ill-defined (article 65, which apparently was added to the constitutional draft in 2005 as a last-minute measure). Iraq has had a bicameral parliamentary structure in the past as well: The senate during the days of the monarchy was an appointed upper chamber to the “elected” first chamber. Potentially, then, a senate could serve as a deliberative forum that could supplement the existing parliament, not least since the appointment formula sketched out in the constitution – two representatives per governorate and region – would produce a different political dynamic than that prevailing in the proportionally elected house of representatives. Indeed, when compared with the strategic policy council (which would largely comprise members of the existing government), the senate comes across as an institution that holds far greater promise for avoiding a mere duplication of the stalemates that currently dominate both the executive and the legislature in Iraq. The Iraqi parliament was a sorry sight this morning. That the second reading of the bill for the national council for strategic policies was postponed, supposedly until Monday, was never a big surprise. Nor was anyone particularly shocked to learn about a delay in the decision on the question of the parliamentary membership of three deputies whose eligibility has been questioned. But the way the planned vote on the revised bylaws of parliament was suspended today was nothing short of pathetic. Barely had the legal committee started reading out the first amendments to the bylaws which simply included some definitions of key concepts when members of the Shiite alliance began protesting the definition of a “simple majority”! 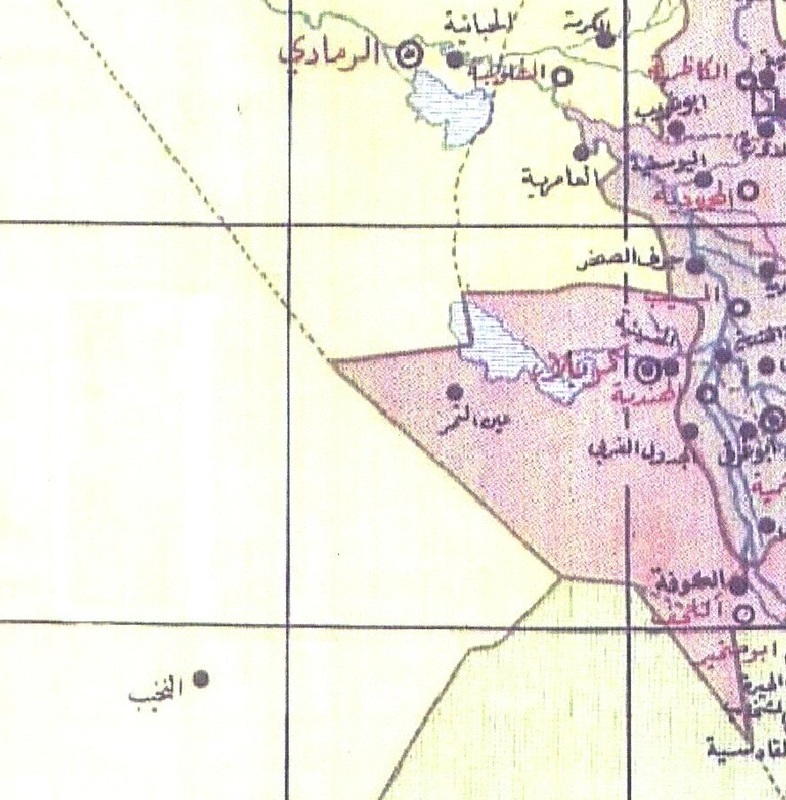 The proposed definition was straightforward enough (half of the present members plus one when a quorum has been reached), but some deputies including Bahaa al-Aaraji of the Sadrists objected on “procedural” grounds, calling this an unspecified violation of article 2 of the Iraqi constitution (laws must be in accordance principles of democracy). As a result of the objections, the vote was called off, supposedly with a postponement until Monday. Maybe it was all theatre agreed to beforehand by the political leaderships. The problem is this: When a bill reaches the stage of voting in the Iraqi parliament, it means there have been two previous readings at which members of parliament at large have had the opportunity to present objections and improvements – which in turn are handled by the relevant specialised committee as well as the legal committee. All too often, however, committees prepare laws for the voting stage only to see them languish forever because the political leaderships discover irreconcilable disagreements that can only be addressed by that Iraqi magic wand of late-night meetings behind closed doors. As a result, the parliamentary impact on a legislative process already dominated by the executive (which presents the laws) is further minimised. As for the substance matter at hand, it is unsurprising that matters are moving so slowly. One interesting aspect of the current bylaws is that they create a collective speakership that involves more consensus-searching (which often means more stalemate) than the constitution actually demands. In other words, had trust existed between Iraqiyya and State of Law, they could have easily reduced the deputy parliamentary speakerships (held by Kurds and the Sadrists) to ceremonial positions and made the current speaker, Usama al-Nujayfi, to a more dominant figure. However, despite rising tensions between the Kurds and Prime Minister Nuri al-Maliki lately, it seems personal friction between leaders of State of Law and Iraqiyya remains more than strong enough to prevent any attempt at this kind of rapprochement. A recent statement by the governorate council of Wasit had an extraordinary tone: The council “rejected” the appointment of Vice Premier Hussein al-Shahristani as acting electricity minister (after Raad al-Ani “resigned” subsequent to being forced out), alleging that Shahristani had created problems for Wasit in the past through his opposition to several electricity schemes and his management of the disputed Ahdab oilfield, where a Chinese company is involved. The conflict between the local council and the oil ministry (previously headed by Shahristani) has been festering since 2009 and includes serious accusations by local politicians for example to the effect that Chinese prisoners are doing underpaid work at the oilfield. The statement would seem like an unprecedented attempt by a provincial council to interfere in the workings of the central government. 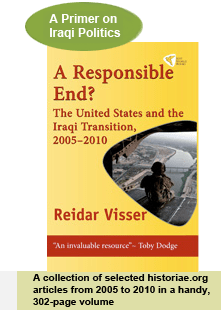 But it is very real, and reflects intense intra-Shiite disagreement ranging from the very personal to key political issues like the question of the basic structure of the Iraqi state. At the time the Wasit federalism project first emerged around June 2010, it was reportedly supported by ISCI and resisted by Sadrists and State of Law, with the rest of the council (the Shahristani bloc, the Iraqi constitutional party, Iraqiyya and independents) uncommitted. Unfortunately, the few existing recent press reports on the subject are somewhat ambiguous in that they identify a key pro-federal leader as “Mahdi Husayn al-Musawi, deputy speaker of the Wasit governorate assembly”. This seems to be a mix-up of names since the governor is Mahdi Hussein al-Zubaydi (State of Law) whereas the deputy speaker is Mahdi Ali Jabbar al-Musawi (same bloc but previously the Tanzim al-Iraq faction and with a track record of conflict with Shahristani over Ahdab in the past). In any case, these developments clearly suggest that disagreement over federalism is creating challenges for Maliki as well as for Shahristani in Wasit. It is noteworthy that also in Wasit, ISCI is apparently playing a lead role in forcing the rest of the Shiites towards a remorseless approach in the de-Baathification question, in April this year even challenging a decision by the de-Baathification commission to reinstate former Baathists in the education sector. Similar pro-federal noises have been coming intermittently from Maysan, Karbala, Najaf and Babel, but nowhere is the pro-federal tendency more evident and persistent than in Basra. In particular, Jawad al-Buzuni from Maliki’s own State of Law bloc has been going far in calling for the government to go ahead with a referendum on the question of creating a federal region as demanded by members of the provincial council, claiming it is the only way of solving the current political impasse and indeed of saving the current government. The new federalists of Basra and Wasit fraternise on Facebook with like-minded people as far north as in Nineveh; some of these new federalists even see uni-governorate federalism as an antidote to the dominance of the religious parties. It is noteworthy, however, that despite all these challenges – on top of the fact that the Iraqi government is breaking Iraqi law by not making the legally mandated moves to hold referendums that have been called for – even the most pointed attacks at Maliki still seem unable to gather the numerical momentum required to make them real. Symptomatically, perhaps, today, the independent deputy Sabah al-Saadi declared that he has been gathering signatures for a law proposal involving restricting the premier’s terms to two parliamentary cycles, along with special rules for a caretaker ministry in the event of withdrawal of confidence in the cabinet. The targeting of Maliki could not have been clearer, and yet the petition only managed to marshal the signatures of 115 deputies, far below the magical 163 threshold required for doing anything significant with regard to the status of the current government. In Wasit itself, after an initial open rupture between Maliki and Shahristani over the governorship in February and March and the creation of a challenging bloc consisting of ISCI, the Sadrists, Iraqiyya and the Iraqi constitutional party in April, there have been reports since early August of a reconstituted bloc of 19 more centralist Shiites aggressively opposed to the ISCI-led speaker of the council, reportedly consisting of State of Law, the Shahristani bloc of independents and White Iraqiyya, the (often Shiite) breakaway faction of Iraqiyya. There is a certain geopolitical symbolism to the fact that it is an oilfield operated by a Chinese company that seems to serve as glue for this regrouped alliance of Shiite centralists! For its part, State of Law has indicated a willingness to pursue a project that would obligate the Iraqi presidency to sign execution orders within 15 days, which would constitute an unusually blunt attack on the Kurdish president of Iraq, Jalal Talabani, usually a Maliki ally but also a staunch opponent of the death penalty. Which in turn just seems to emphasise the status quo as the most likely scenario going forward, not least since the Kurds have now made clear that the recently-reported agreement in the Iraqi government on an oil and gas law in fact did not enjoy their support, thereby underlining the persistence of a problem in relations between themselves and Maliki that goes back to 2007. In other news, the Iraqi parliament is back on the job after the long Eid recess and has adopted an ambitious agenda for Thursday: The second reading of the contentious national council for high policies bill, and a vote, no less, on the equally disputed new parliamentary bylaws . We’ll see. Several Iraqi politicians have used the last days of the Eid to send public messages about their political visions. Unfortunately, these statements contain few grounds for optimism – whether related to completion of the current Maliki government or the formation of a new government. One of these voices is that of Ammar al-Hakim, the current leader of ISCI and a returned exile, who spent more than two years from 2005 to 2008 in a futile bid to convince the population of the Shiite-majority governorates south of Baghdad to join together in a new, all-Shiite federal entity. ISCI subsequently lost much of its influence thanks to poor performances in the January 2009 local elections and the March 2010 parliamentary ones. Most recently, in his Eid address, Hakim once more proved his limited ability to grasp new currents in Iraqi politics. Hakim reportedly said he would “welcome a political-majority government” if it meant “deepening the representation of the social components in Iraq”! The whole point of the concept of the political-majority government – as it emerged mainly in the rhetoric of Prime Minister Nuri al-Maliki following his successful performance in the local elections of January 2009 – is to create an antithesis to the concept of power-sharing based on ethno-sectarian quotas. A political-majority government would ignore any considerations related to “the components of the Iraqi people”, and would instead focus on issue-based political agreement. Such a government would probably include Sunnis, Shiites, Kurds and Turkmens because Iraq is a mixed society, but this would not be the primary consideration governing its composition. Rather, political views, ability and competence would be the main criteria in the selection of ministers. This in turn might produce patterns of ethno-sectarian participation in the government that diverged somewhat from a proportional model, but such a result would result from historical accident rather than from a systematic attempt at excluding anyone on the basis of ethnicity or sect. For example, throughout the monarchy era there was systematic under-representation of Shiites, but at least in some periods this had to do with the legacy of poor Shiite education during the late Ottoman period. Similarly, Shiites are over-represented on the Iraqi national soccer team, thanks not least to the fact that Shiites did very well in sports during the days of the Saddam Hussein regime. Of course, Maliki himself has travelled a long way from the principles he professed in 2009. Lately, his attempt at defining the defence ministry as a “Sunni” prerogative that could be held by any Sunni (and preferably one with no links to his rivals in the secular Iraqiyya) has taken him quite far in the direction of contradictions reminiscent of those of Hakim. In 2011 Maliki has been trying to build an alternative rainbow coalition of Shiites, Sunnis and Kurds, except that the numbers simply do not add up. Basically, Maliki’s strategy seems based on an unrealistic take on what sort of “Sunni” support he can drum up from dissenters in Iraqiyya. Much like Saddam Hussein, Maliki is paying lip service to the concept of Iraqi nationalism and “political majorities”, but in practice he is continuing to recruit from a very narrow ideological and sectarian platform. Thus, when a Maliki ally recently stated that the concept of “balance” (tawazun, a concept used mostly by the Kurds but recently also sometimes by Iraqiyya to demand ethno-sectarian quotas) would “consecrate sectarian divisions and harm the political process”, he was right and wrong at the same time: True, it would be better to ignore quotas if an ideological alternative that could achieve a majority really existed, but the State of Law bloc seems singularly incapable of increasing its number of deputies beyond its Shiite Islamist core to the point where this kind of lofty ideal might be turned into reality. For their part, Iraqiyya have perhaps been the loudest advocates of withdrawing confidence in the existing government or calling new elections. Lately, Talal al-Zubawi envisioned a coalition of 180 deputies from Iraqiyya, “some of the Kurds”, ISCI and the Sadrists that would withdraw confidence from Maliki. That would be a real “political-majority” alternative. If it existed in the real world, that is. The trouble is that few things other than their hatred of Maliki bring these groups together. In the case of the Sadrists, in particular, one can easily get the impression that their participation in the “political-majority” alternative to Maliki is mainly a smokescreen designed to obtain further concessions from Maliki in the current government – which in turn might further emphasise sectarian antagonisms within it. Zubawi’s allusion to a Kurdish split on what to do with Maliki is nonetheless interesting in itself. Constitutionally, there are two possible ways to forming a new Iraqi government: Withdrawal of confidence in the current government and the formation of a new one based on the presidential prerogative of identifying the “biggest bloc” in parliament, or new elections altogether. Since Iraqiyya appear somewhat distrustful of President Jalal Talabani – still considered a Maliki ally – their most likely preference would be new elections. But in a recent op-ed in The Washington Post, Iraqiyya leader Ayyad Allawi hinted at another problem: Those elections would have to be conducted with an impartial judiciary. That in turn illustrates the dilemma of Iraqiyya in deciding whether to participate in the current government in order to bring about reform from within, or opting for a more radical course such as new elections.